From Gaelic "An Tairbeart" meaning an isthmus or more literally a place over which a boat can be dragged. King Magnus the Barefoot did just this to declare Kintyre an island - and annexe it - in around 1098. Claonaig - Gaelic "claon" - sloping; Norse "aig" - bay. Kennacraig - Gaelic "ceann na creige" - "head of rock". Skipness - Norse/Icelandic - "Ship's cape". 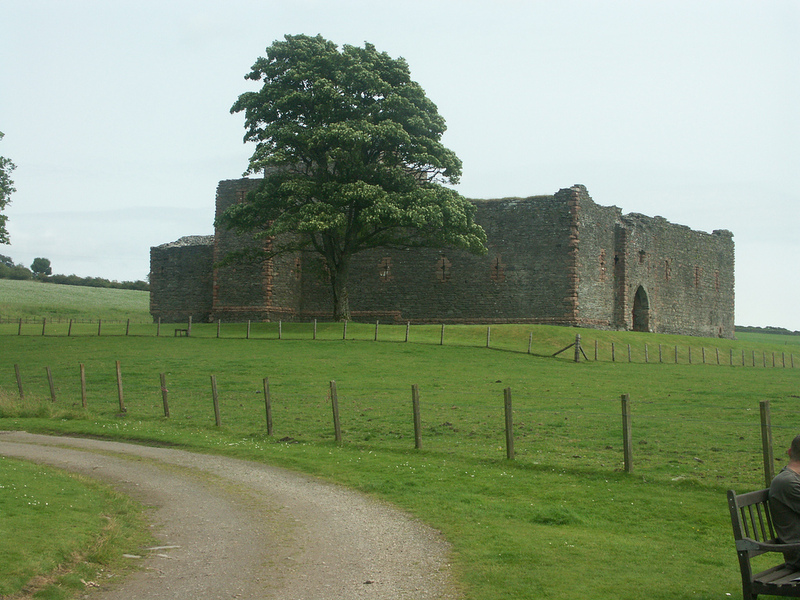 Skipness Castle dates from around 1200 when it was built by Sven the Red or his son - the family became Clan MacSween who also built Castle Sween in Knapdale and Lochranza Castle on Arran. The MacDonalds (Lords of the Isles) acquired the MacSween lands when the latter were forced out after backing the losing King Hakon IV (of Norway) at the Battle of Largs in 1263. The MacDonalds built the curtain wall and held the castle until their own downfall in 1493 when the Campbells took over Kintyre. Tarbert Castle occupies an important strategic position, commanding the isthmus, as well as providing views up Loch Fyne and across to the Firth of Clyde. 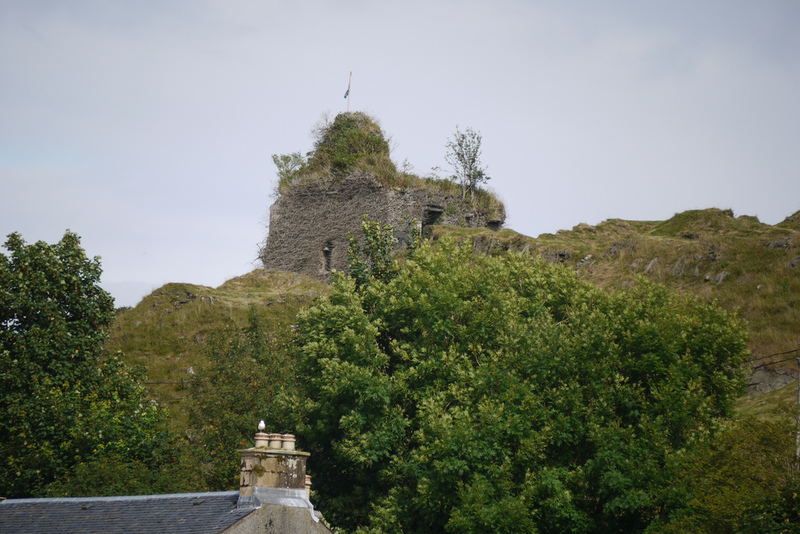 Forts on the site are recorded to have been burned twice in the 8th century, and the castle was important to the Kings of Scotland from the time of Robert the Bruce. James IV rebuilt it in 1494 as part of his successful campaign to defeat the Lords of the Isles. Plenty of places to drink whisky, but for distilleries you have to keep on down the road to Campbeltown - or take the ferry to Islay or Arran. 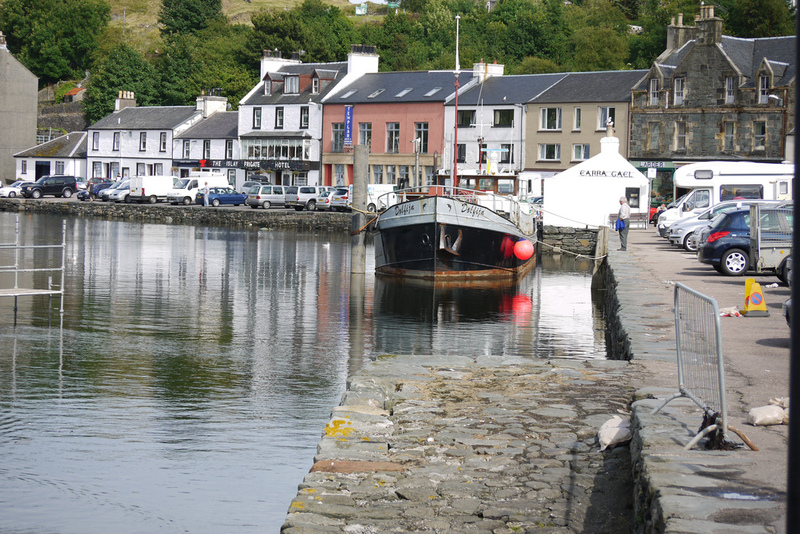 Tarbert is a common place name in Scotland (sometimes spelt slightly differently, Tarbet or Tarbat). So there is the need to differentiate it as Tarbert, Loch Fyne (sometimes Tarbert, Argyll and Bute) to distinguish it from Tarbert, Harris, Tarbert, Jura or Tarbet, Loch Lomond for example. 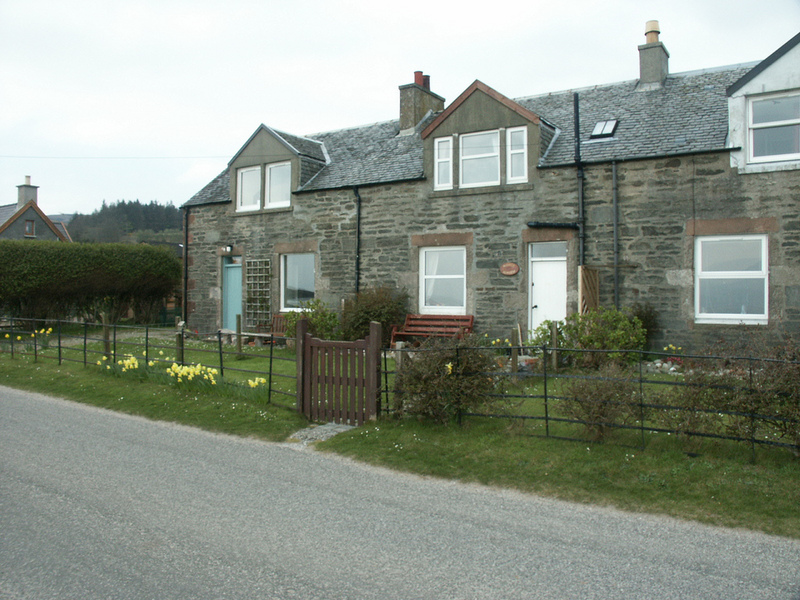 Kennacraig is nothing more than a ferry terminal, and Claonaig a ferry slip, though there are a couple of houses at the junction of the B842 and B8001. Skipness is the end of the road up the East side of Kintyre, but has a shop, cafe, ruined castle and ruined chapel - there is a footpath (part of the Kintyre Way) to Tarbert, which otherwise can only be reached by crossing the Kintyre peninsula on the B8001 and rejoining the A83. 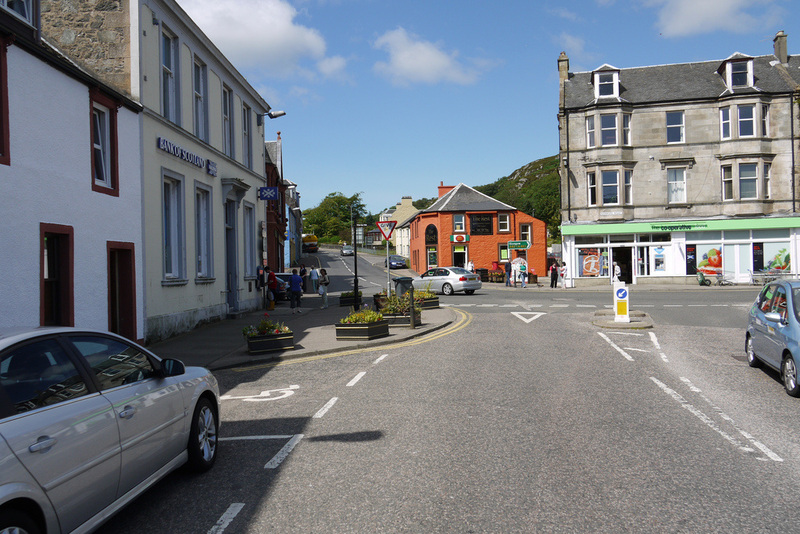 Tarbert is close to 3 ferry terminals - the one in the town links to Portavadie on the Cowal peninsula hourly in Summer - and also has a daily sailing to Arran in Winter which means there's a 3 hour mid-day gap in sailings to Portavadie. 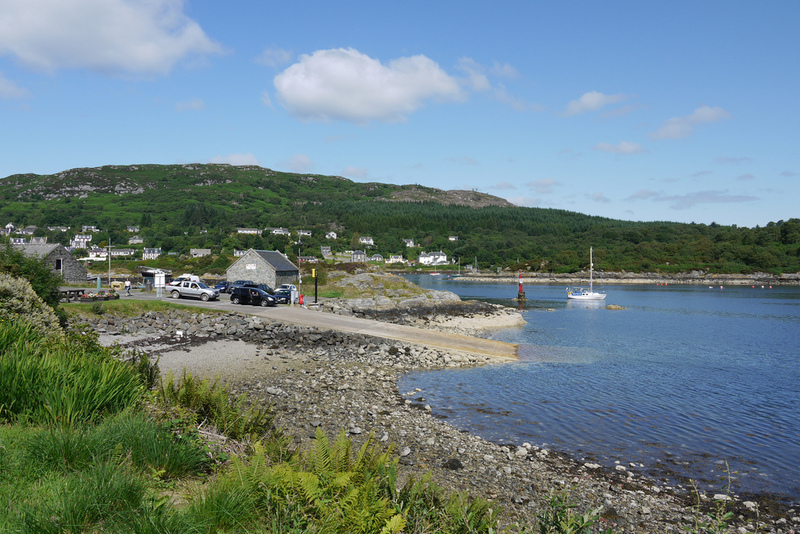 The Summer service to/from Arran (Lochranza) is from Claonaig about 10 miles from Tarbert. The Islay ferry from Kennacraig is 5 miles away Summer/Winter. 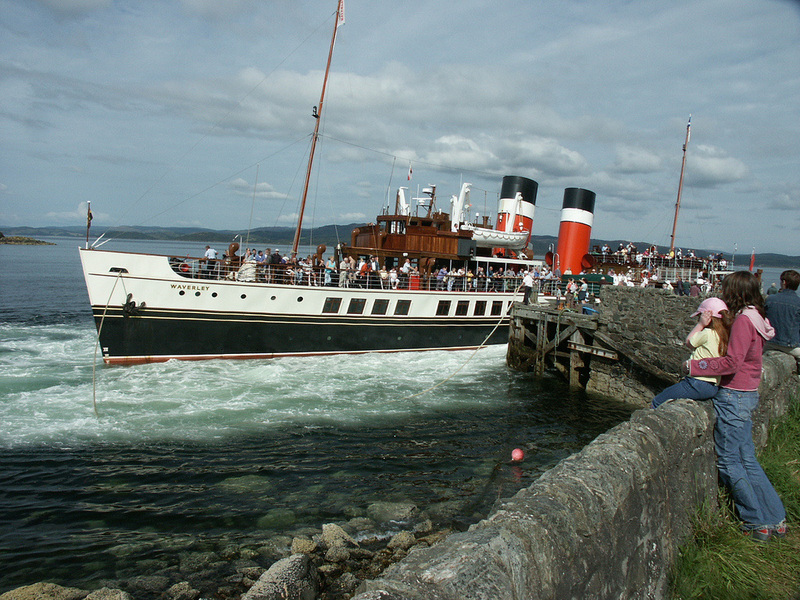 (A service from Colonsay and Oban operates on Saturdays in Winter and both to and from those ports on Wednesdays in Summer). The Gigha ferry from Tayinloan is a little further away (19 miles) Summer/Winter. The Hollies A83 01880 820742 (3 miles) (no web) ?? The Anchorage B&B Kilberry Road 01880 820813 (9 miles) closed? 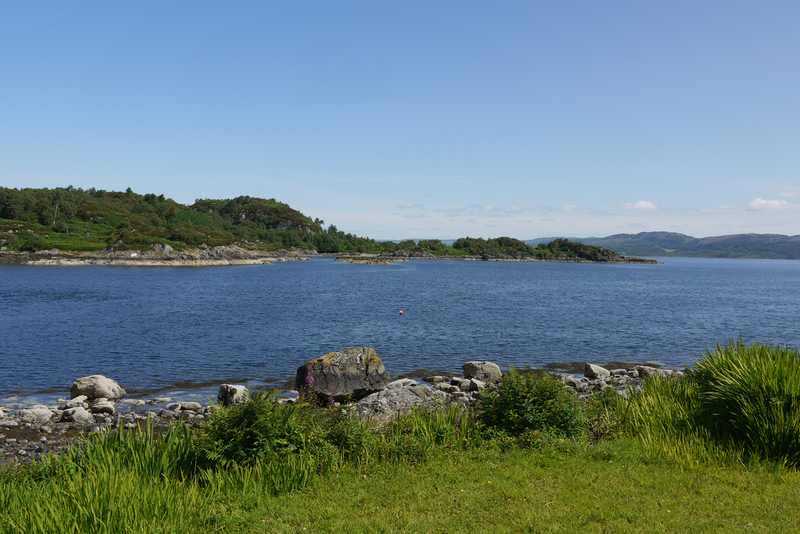 "a wide selection of regular, mature and unusual whiskies especially if you are a whisky enthusiast"
Tarbert is on Cycle Route 78, which reaches Tarbert via a long detour around Knapdale - 32 miles from Ardrishaig, rather than the 11 along the main A83. The route South to Campbeltown also avoids the A83, but that only adds a mile to the 37 along the main road - be prepared for a lot more climbing though! Alternatively, you could go off-road, which will take you into the remote interior of the peninsula - follow this link for an account of a ride along Kintyre Way. Check PO Branch finder (search for postcode PA29) for opening times.